THAT GUY is entering the NBA Draft?! He averaged 6 points a game in college! We’ve all heard this one. We’ve probably all said it at some point. But nine times out of ten, people are wrong to say it. I was reading Gary Parrish’s article defending Skal Labissiere’s early entry into the 2016 NBA Draft. It made me think. A player’s NBA readiness on the court isn’t actually the main issue. What matters is how ready the NBA is for him. We already don’t expect most rookies to do many NBA-level things during their rookie seasons. We anticipate rookies will spend most of their time either sitting on the bench, playing in the D-League, or looking lost and confused on the court during NBA games. Even the rookies who spent three or four years in college are not exempt. The evidence suggests the best way for players to become truly ready to contribute in the NBA is by being in the NBA and learning what they need to succeed there. If that is the case, how ready an underclassman is for the NBA doesn’t matter compared to the question of whether an NBA team is prepared to give him millions of dollars guaranteed to play professional basketball. While it’s true the NBA money will probably still be there in a year, that way of thinking presents problems. A player’s basketball career only lasts so long. A college basketball season is still a year of his career: a year for which he doesn’t earn a professional salary. That’s money left on the table. People talk about the “risk” in leaving for the NBA now, and it does feel risky. We can all relate to being in over our heads. But how something feels isn’t always the best measure of what is true. There’s actually more risk in leaving the NBA contract on the table for now. Injury, poor performance, coaching or personnel factors outside of a player’s control — they can all lead to a smaller first NBA contract, or none at all. The risks unique to going to the NBA early are risks that are under a player’s control. As for another year in college allowing a player to develop sufficiently … let’s talk about that. Many players are able to develop better in the NBA than in college. College and professional basketball are the same language, but they’re like different dialects. Similar, but not quite the same. We all understand already that some players excel in college but fail to contribute in the NBA or even make the league at all. That’s true, to a point. Of course some great college players aren’t fast enough, big enough, or skilled enough to make it in the NBA. This point is obvious to anyone who’s watched an extended amount of college and NBA basketball. While that’s accurate, it’s also important to mention something else. College and professional basketball are different. They are different enough that some players can thrive in the professional ranks while struggling to impact the game consistently in college. Let’s circle back now to Skal Labissiere. A lean 7’0” center from Kentucky, Labissiere averaged only 6.6 points and 3.1 rebounds while playing only 15.8 minutes per game during his freshman season at Kentucky. He then entered the NBA Draft and is widely seen as someone who will be drafted based on potential rather than performance. It’s popular to assume that the size advantage big men have in college means the NBA will be incredibly more challenging for them. In many ways, yes. The NBA is bigger and more physical. A player like Labissiere will have to adapt and become stronger. However, he might also be a player who is primed to fit the NBA game better than the college game. Maybe Labissiere’s athleticism and potential as a pick-and-roll player aren’t maximized in college because there’s not as much spacing on the court. He can dive to the rim or pop out for jumpers. That’s valuable in the NBA right now! In college, with teams packing the paint against teams with limited outside shooting, or even playing outright zone defense, Labissiere’s skills are harder to utilize. And that goes for both ends of the floor: he’s also well-suited as someone who can contain and disrupt pick-and-rolls on the defensive end. But in the college game, that doesn’t impact the game as much as it does in the NBA. Look at Karl-Anthony Towns’s rookie season with the Minnesota Timberwolves. He was great as a freshman at Kentucky, but there were certainly things he did with the Timberwolves that he wasn’t able to showcase in college. The same could be true for Labissiere and others like him. Myles Turner presents another example. As Jonathan Tjarks wrote at RealGM, Turner played college basketball for a Texas team in which the pieces didn’t fit together and whose coach was fired at the end of the season. That Longhorns team had a big man surplus and a floor spacing deficit. Turner didn’t look especially great in his college season. Fast-forward a year, and Myles Turner is one of the NBA’s best rookies. Many of these skills he’s showing with the Indiana Pacers must have been there at Texas, but masked because of the situation. They bring out different things in players. Some good, some bad. It’s hard to beat the resources available to NBA players. Let’s circle back to the question of developing readiness. Look at what NBA players have available to them. Millions of dollars to spend on the best tools and resources. No classes to go to or tests to study for. I think forgetting about these NBA benefits is one of the reasons fans sometimes discuss whether the best college team could beat the worst NBA team. They lose sight of how much better players become after they go to the NBA. 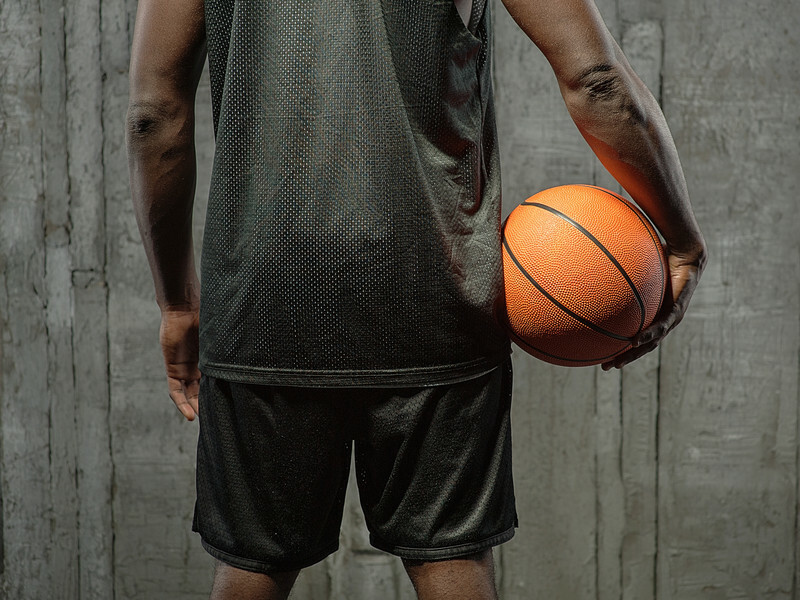 A below-average NBA player is essentially one of the best college players plus 25 pounds of muscle and 5,000 hours of specialized training. So put readiness aside: if what you care about is getting better, why wouldn’t you consider doing it in the NBA? Why is it such a mistake to take them up on the offer, even if your college stats are underwhelming? It’s easy to look at a 19 year old college player and say he’s not ready for the NBA. And that perhaps a year from now, as a 20 year old, he will be a better player and he might be ready if he spends another year in college. But there’s a flawed jump in logic there: that his year of development from ages 19 to 20 only happens if it’s spent in college. It doesn’t take much reflection to see the problem in this mindset. The player is going to be stronger and more skilled as a 20 year old than as a 19 year old regardless of whether he spent the previous year in college or in the NBA. College doesn’t have a monopoly on this one. The real question is which is a better environment for an individual player, especially once you factor in the financial opportunity cost of staying in college. For the players who are looking at millions in immediate guaranteed money and in a position to handle it maturely, the choice should be clear. Leave a comment below with your biggest takeaway from the article. Don’t forget to sign up for the email list here at HoopsThink using the form below. You’ll also receive a copy of The Basketball Scout’s Cheat Sheet for signing up. I love the write up breaking down the perception and reality of College vs. Pro potential, along with why some players have better NBA careers, rather than college, and vice-versa.